Robo-advisor vs Mutual Fund – Which is a better choice for you? Both Robo-Advisor and Mutual Fund are above-average options for your money deployment. However, Mutual Fund has a history of two and a half centuries, while the Robo-Advisor concept is only a decade old. In the 21st century, lots of Mutual Funds have armed themselves with technology just as advanced as Robo-Advisors do, in order to compete. Regardless, Robo-Advisors like Smartly have some unique advantages that I’ll explain in this article. It’s told that the first investment trust dated back to 1774. The idea was to pool money for a larger sum, hence being able to achieve better diversification. It became very popular in the 20th century and the fund was managed by professionals. This industry exploded, attracting billions of dollars in inflows. The success of Mutual Funds, to some, was due to the fact information about financial products (stocks, bonds, commodities) were exclusively for professionals, unlike today. Like all other industry, it was soon disrupted by innovation. While some investors were happy with decent returns they had investing in Mutual Funds, some were not. Their reasoning was because Mutual Fund took a large part of their investing profits to feed its staff, in a few cases up to 20%. If you invested $100 in a Mutual Fund fifty years ago and the fund managed to had 10% return, it translated to $10. However, you would only get $8 if the fund takes a fifth of that. John Bogle was among those who believed it was outrageous. The first Index Fund was introduced in 1975 by John Bogle, the founder of the Vanguard Group. This fund would have its money allocated the same way an index does. For example, if an index is made up of 20% Stock A, 40% Stock B, 40% Stock C, the fund will follow exactly that. Not only it offers great diversification, it also eliminates the professional manpower needed to pick stocks (like Mutual Funds). Therefore, Index Fund offers very low management fees compared to Mutual Fund, allowing it to be more competitive. Exchange Traded Fund (ETF) has little difference from Index Fund other than the fund structure. Both can track the same index. Like Index Fund, ETF has very minimal management fees. However, it’s considered more of an investing instruments than a fund. Fund managers love ETFs. So does Smartly. Basically, your very own financial adviser. Read More about Robo-Advisor. The first Robo-Advisor launched was Betterment, in 2008. Many said the rapid adoption of Robo-Advisors was because investors no longer trust active fund managers after the Housing Crisis in 2007-2008. 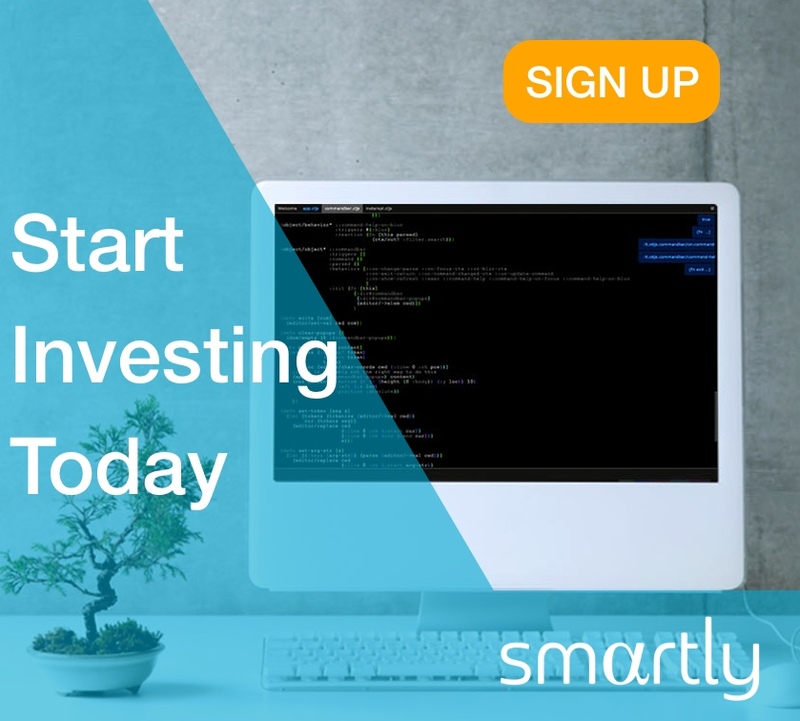 In 2015, Smartly was founded in Singapore, to help everyone invest. The minimum cost to buy an Unit Trust (Mutual Fund) is 1.5% and to sell is 1%. Some Mutual Funds have additional fees. Robo-Advisor like Smartly offers management for as low as 0.5% and that’s the only fee incurred. Mutual Funds invest in different financial products and that change over time, depending on the fund manager. Investors buying Unit Trust typically have immense trust in the person running the fund. On the other hand, Smartly proposes a personalised set of ETFs for each investor, depending on how much risk they are willing to take and only proceeds with permission. At Smartly, investors’ money strictly goes into buying ETFs. The reason is Index performs better than actively managed funds, 82% of the time. It’s true that Mutual Funds and every investor can buy ETFs themselves. However, with 4,779 ETFs globally (as of 2016), picking an ETF is quite a challenge. The engineers and analysts at Smartly put together different combinations of ETFs that provide the most consistent returns. Being an actively managed funds, Mutual Funds can short (bet against) a stock. It’s a complicated and risky investment requiring lots of manpower and Robo-Advisors typically don’t offer this service. Other Financial Products include options, futures, contracts, etc. With the number of Robo-Advisor users estimated to be 122 million globally by 2022, some worry the technical development can’t catch up fast enough. On the other hand, the Mutual Funds have been around for at least a two centuries and are run by highly capable and experienced managers. Even though men used horses for traveling needs for thousands of years, a few decades after Karl Benz invented the first gasoline car, there rarely was the sight of horses simply because car were far more efficient. If Robo-Advisor is a better version of Mutual Funds, it will become clearer in ten, twenty years. Both Robo-Advisor and Mutual Fund are not risk-free. Investors should weigh the pros and cons of each, carefully. However, it’s worth noting with the same performance, investors receive more returns with a Robo-Advisor like Smartly because of significantly low fees. Moreover, transparency may provide some peace of mind too. Previous articleCustomer StoriesSmartly People: Meet Kate!